Party Politics Stall Child Credit Freeze Law? 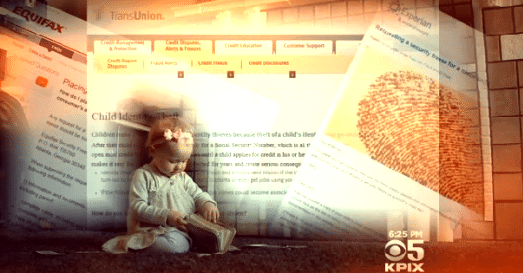 You are here: Home / NewsMom Investigates / Child ID Theft / Politics Stall Child Credit Freeze Law? 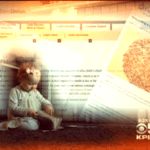 After years of reporting on child ID theft and struggling to freeze my own child’s credit, it was rewarding to learn that California Assemblyman Mike Gatto introduced state legislation based on what I’d found. This week, the bill passed its first test, sailing through the California Assembly’s Banking and Finance Committee with a 12-0 vote. UPDATE 9/23/16: The bill unanimously passed both the senate and assembly and the governor has signed California’s Child Credit Freeze Legislation AB 1580. 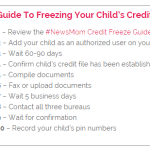 California parents can now freeze their child’s credit! 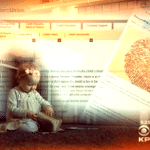 The proposed California law faces little opposition and, once passed, will require the credit bureaus allow parents to proactively place a security freeze (aka credit freeze) on their child’s Social Security number. 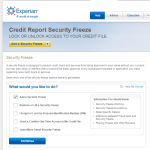 A credit freeze is considered the single best tool to prevent financial ID theft, and experts believe kids are more desirable ID theft targets than adults. Gatto’s folks tell me they are now revising the bill a bit to address the additional security concerns we raised in a recent consumer investigation. By the end of the year, Gatto expects California to become the 24th state to acknowledge the unmatched protection of this tool and pass a child credit freeze law. Where’s the Federal Child Credit Freeze Law? H.R.1703 – Protect Children from Theft Act of 2015 could afford the same rights to parents nationwide… unfortunately it’s been stalled in committee for over a year. Why? Well, several congressional lawmakers (speaking on background) tell me politics are likely to blame, at least in part. You see, the bill was introduced by a Democrat, Rhode Island Congressman James Langevin, back in March of 2015. Since then it’s gained several cosponsors, all Democrats. But the bill was assigned to the House Financial Services committee, which has a Republican chair due to the current GOP majority in the House. Until or unless Congressman Jeb Hensarling (R-TX) schedules the bill for a hearing, the bill is essentially dead. I wanted to let you know that at this time we do not have a hearing announcement regarding H.R. 1703. Thank you for reaching out. Have a nice day. I will be sure to reach out if/when we have any updates related to your story. In other words, there is no ETA on when or if the bill will ever move forward. Keep in mind, since the bill was introduced a year ago, tens of millions of children’s identities were compromised through Anthem, Premera, government and various other hacks. Their Social Security numbers are out there on the black market, right now. Meanwhile, a federal child credit freeze law that could protect them from ID theft remains stalled. What Would the Federal Bill Do? The Protect Children from Theft Act would amend the Fair Credit Reporting Act to specifically add protections for kids. It would require the credit bureaus allow parents to freeze their kids’ credit, which can block anyone from opening up a credit card or taking out loans using a child’s stolen Social Security number. Kids can’t apply for credit until they turn 18. 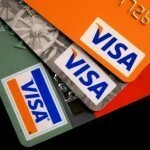 However, ID thieves can (and do) steal kids’ SSNs and open accounts using their stolen Socials with a fake name. Experts note that kids are very desirable targets because most won’t discover that their identities have been stolen until they’re old enough to apply for credit. 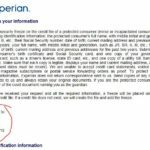 The proposed federal legislation also directs the Consumer Financial Protection Bureau to establish procedures for implementing a child credit freeze. 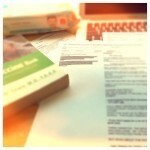 Each bureau currently has a different and complicated process. In fact, our recent investigation revealed that the bureaus may currently be putting parents and children at greater risk of ID theft by asking that they mail sensitive information to a P.O. 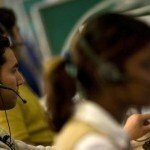 Box and provide Social Security numbers to foreign call center employees on international recorded phone lines. 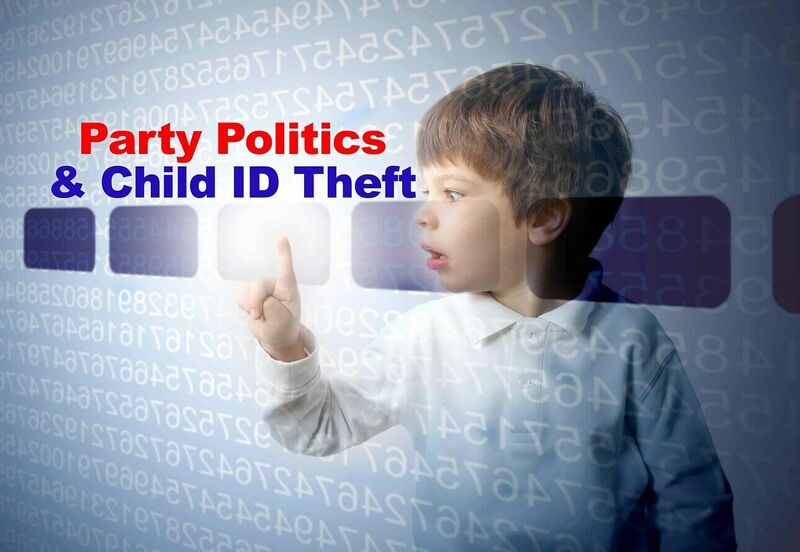 ID theft experts including the FTC, the Identity Theft Resource Center, the Identity Theft Council and many others are adamant that federal legislation is urgently needed to address the child ID theft and child credit freeze issues we’ve reported on. In addition, bipartisan lawmakers in at least 24 states also agree and have passed state laws to cover the absence of federal legislation. In the meantime, California Congresswoman Jackie Speier, also a Democrat, recently signed on to the federal child credit freeze legislation and committed to helping push it through. Though a political insider recently told me that she believes the current Republican majority in Congress will never allow this bill to move forward because all of the bill’s sponsors are Democrats. Of course, a Republican lawmaker could introduce similar legislation or sign on to this bill, but for now, it seems party politics have stalled H.R.1703 – Protect Children from Theft Act of 2015. There is some good news for parents in California, however. The state’s child credit freeze bill does have support from both sides of the aisle and is expected to move forward next month. 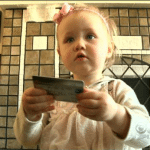 In my first-ever NewsMom blog, “Why My Toddler Has a Credit Card,” I shared my shock over the fact that the credit bureaus refuse to let most parents freeze their kids’ credit even though kids may be at greater risk for ID theft than adults. 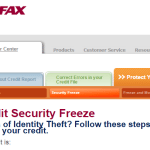 In “How I Forced the Bureaus to Freeze My Child’s Credit,” I detailed how I discovered that the bureaus’ antiquated security measures were actually putting children and parents at greater risk of ID theft. Then, after months of going back and forth with media reps from all three bureaus, I convinced them to provide more secure work-arounds and created a step-by-step guide on how to protect kids from ID theft with a credit freeze. Is there anyone we can call, email, or in some way push into addressing this bill? Hi Christin, Right now the bill’s only co-sponsors are democrats so it is unlikely it will move in the republican controlled house without significant republican support. I suppose you could reach out the republican members of the house financial services committee, specifically the Consumer Credit Subcommittee, and ask if they would be willing to co-sponsor the bill, or draft a similar one. Here are the contact pages for the representatives on the appropriate committee. You might also be able to contact them on social media. Hope this helps! Keep us posted on what you hear/do.